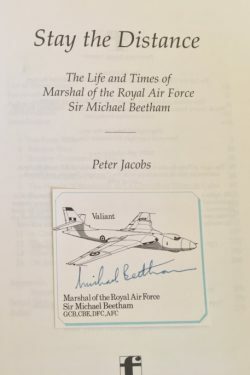 Sir Michael James Beetham, GCB CBE DFC AFC (1923 – 2015) was a WWII bomber pilot and a high-ranking commander in the RAF from the 1960s to the 1980s. 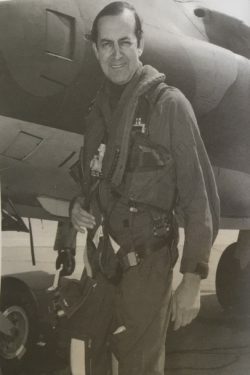 As Chief of the Air Staff during the Falklands War he was involved in the decision to send the Task Force to the South Atlantic. 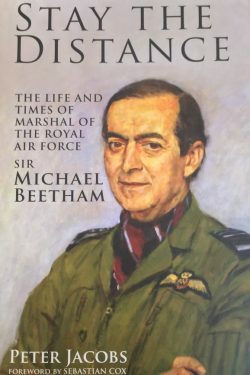 At the time of his death Beetham was one of only six people holding his service’s most senior rank and excluding Prince Philip’s honorary rank, he had the longest time in rank, making him the senior Marshal of the Royal Air Force.